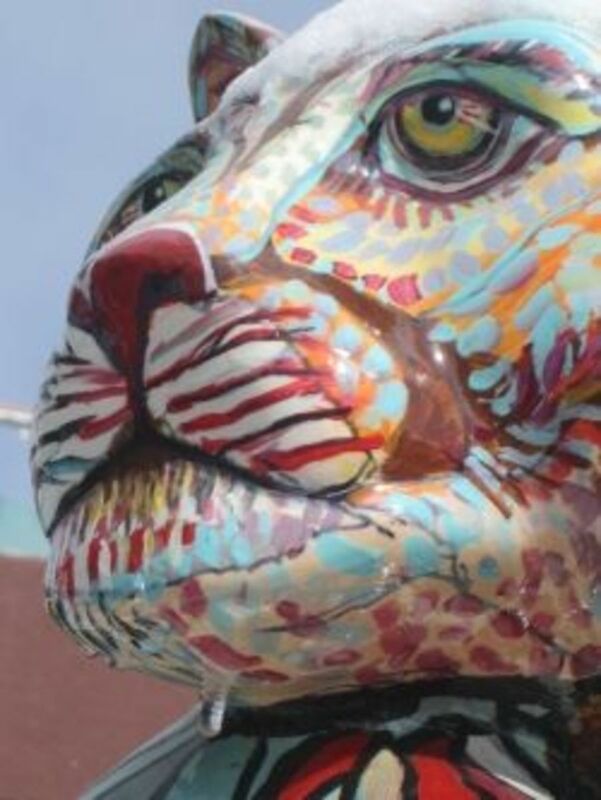 Kathleen Odenthal is a professional photographer from New Jersey with a passion for traveling. She has been to the Grand Canyon twice. 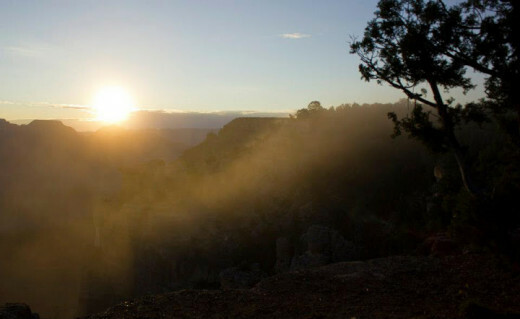 Have you ever been to the Grand Canyon's south rim? Yes! I loved it and can't wait to go back. Yes, but I don't understand the hype. 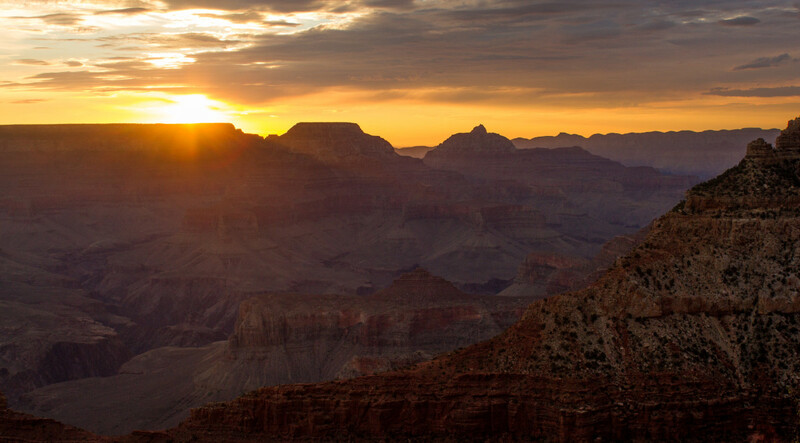 The Grand Canyon, one of the seven world wonders, is on almost every explorer's bucket list. President Theodore Roosevelt called the Grand Canyon "the one great sight which every American should see." 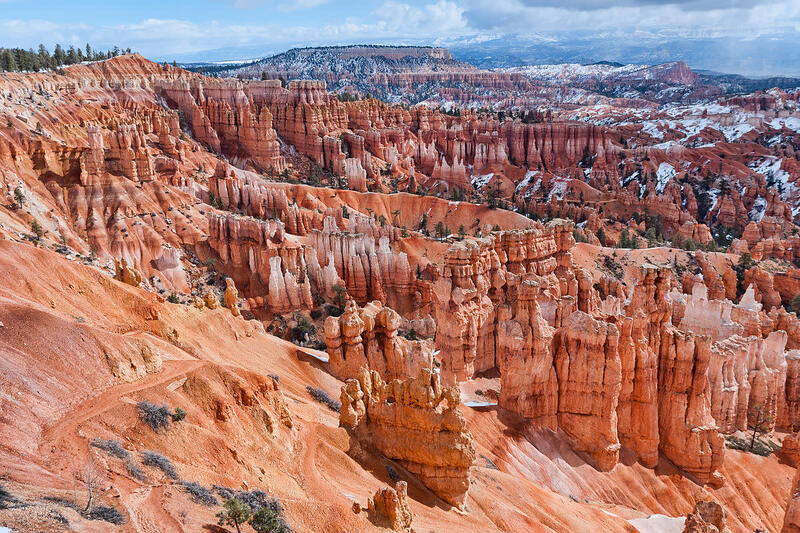 The canyon is 277 miles wide, 18 miles long and attains a depth of up to 1 mile in certain locations. The Colorado River runs through the canyon. This majestic sight is part of the Grand Canyon National Park, a World Heritage Sight since 1973. From helicopter rides through the peaks of the canyons to canoe trips up the Colorado River, there is so much to do, and even more to take in when you go to the Grand Canyon. Are you adventerous? Do you have a lot of endurance? If so, then hiking from the south rim to the North Rim may just be the experience of a lifetime for you. About a 23 mile hike, most hikers start at the Roaring Springs Canyon located at the North Rim. The beginning of the hike is a journey through a dense evergreen forest, up until the Supai Tunnel, when the trail turns into a desert landscape, where you can see forever. Two miles past the Supai Tunnel you will come across the Roaring Springs, an awe inspiring sight. Continue on down the trail and you will wind up in the Bright Angel Canyon, one of the largest canyons in the entire park. Just beyond Bright Angel Canyon is Cottonwood Camp, the end of the trail - tap water is available at the camp so you can rehydrate after your hike. 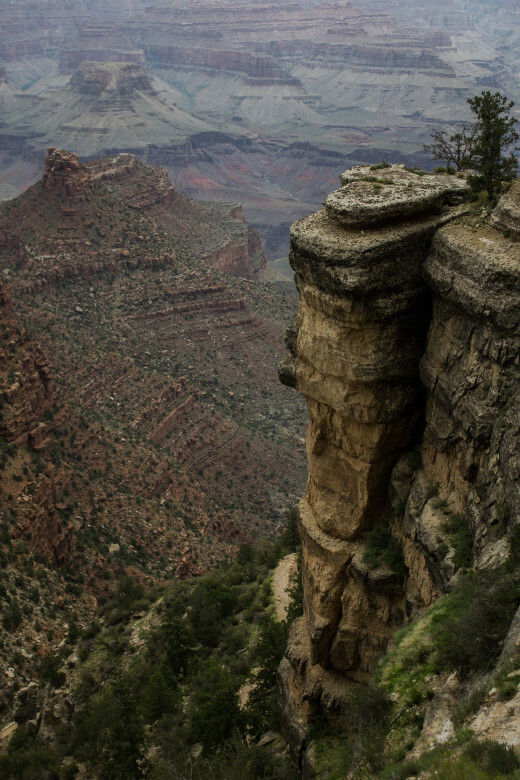 CAUTION: Hiking from rim to rim at the Grand Canyon is dangerous and very difficult. The high altitude, combined with the rapidly changing weather makes the hike very risky. Only attempt this if you are in peak physical condition. 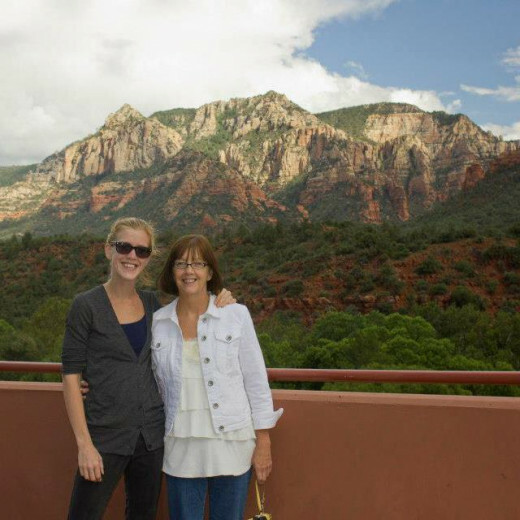 This photo was taken in Sedona, AZ - a quaint town about 2.5 hours away from the Grand Canyon South Rim visitor center. It is home to the famous "Red Rocks" and is well worth a day trip while visitng the South Rim. Sedona, Arizona is a beautiful town within driving distance of Grand Canyon National Park. Filled with quaint restaurants, eccentric shops and beautiful scenery, Sedona is a great place to visit while staying at the Grand Canyon. The Secret Canyon, located in Sedona, is a ten mile long canyon. It is a great place to go hiking, horseback riding, donkey riding, bike riding, or exploring. If you don't want to exert yourself too much, there is plenty to take in without traveling very far, so don't worry! Sedona is famous for its rich red rocks which comprise the Secret Canyon, and it is an absolutely breathtaking place to visit. Once you are tired of hiking, head down to the Colorado River for some white water rafting! At the canyon you have three options, full canyon rafting, upper canyon rafting and lower canyon rafting. Whichever you choose, you are in for a terrific experience and a distinctive view you won't find anywhere else! From rafting trips that last half a day, to trips that last an entire week, rafting down the Colorado River is truly an experience you will never forget. If you are interested in planned iteneraries containing a mixture of rafting and hiking over several days, check out Grand Canyon Whitewater, the best multi-day rafting tour at the Grand Canyon. For those looking for half day rafting trips or full day rafting trips, Colorado River Discovery offers a variety of great packages for individuals, as well as families. 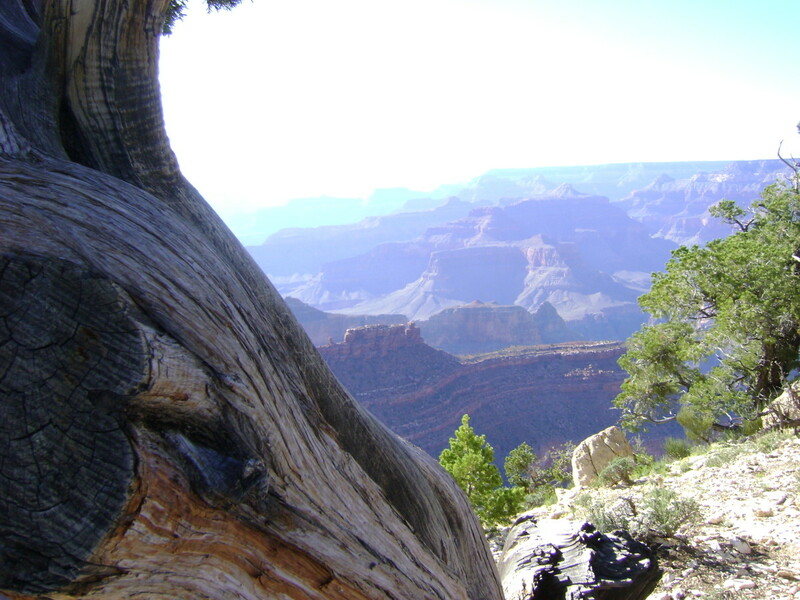 The most popular hiking trail at Grand Canyon National Park is the Bright Angel Trail. The trail begins at the visitor center located at the park and offers breathtaking views of the canyon, plenty of rest stops, and water fountains to keep you hydrated while you are taking in the beautiful view. The trail is broken up into sections to make it easy for hikers of all experience levels. The shortest trail is three miles, the next distance is 4.5 miles, and the total trail is thirteen miles long. If you are going to hike any of the trails be sure to bring plenty of water, sunscreen and energy, because the elevation at Bright Angel Point is just under 7,000 feet! 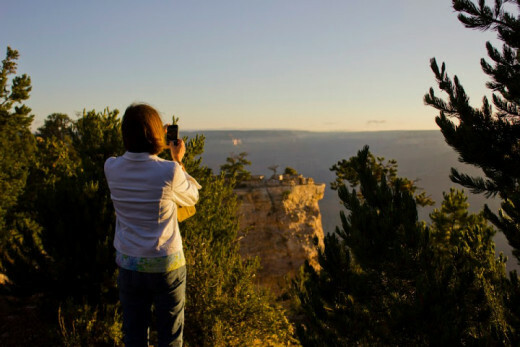 If you are visiting the Grand Canyon because of the scenery, then you need to know the best place to watch the sunrise and sunset at the park. That location is Mathers Point. Two and a half miles north of the entrance to the park at the South Rim, Mathers Point offers stunning, jaw-dropping views of the canyon. Mathers Point is at the edge of a cliff extending into the canyon, allowing for panaromic views of the park. 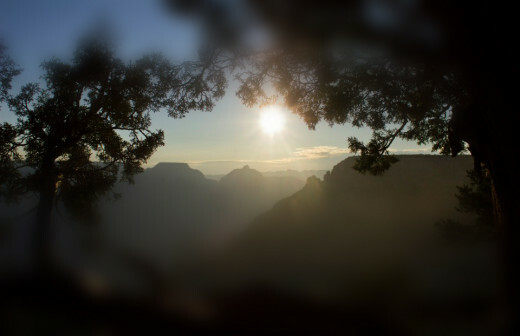 The view from Mathers Point is especially beautiful when the sun is rising, because you get to witness a thick bed of fog rise from the canyons along with the sun. It is a once in a lifetime experience, and well worth waking up at 4 o' clock in the morning! The historic Navajo Bridge is an excellent place to take in all of the different views that the Grand Canyon offers. The bridge is one of only seven land crossings of the Colorado River. On one side of the bridge is Arizona, and on the other side is Utah. The bridge is 750 feet in length and towers 470 feet above the Colorado River. If you are afraid of heights, this bridge may not be up your alley, but if you are an adventurer, the historic Navajo Bridge cannot be missed! Because of the age and width of the historic bridge, it was decided in 1995 that a second bridge would be needed in order to allow for vehicles to cross from one side of the canyon to the other. While the historic bridge is still accessible to pedestrians, the new bridge allows for trucks and cars to cross the river safely. Near the historic bridge is a small visitors center where you can buy water and snacks, as well as authentic Navajo jewelry, home décor items and more. I've been there and it is beautiful, so are your photographs. Great hub. I've never been to the Grand Canyon. It's something I'd definitely like to experience some day. What a beautiful place! You see all of Mother Nature's glory there, from what I understand. Thank you for sharing this with us, Kathleen. It may be the closest I ever get to actually being there. 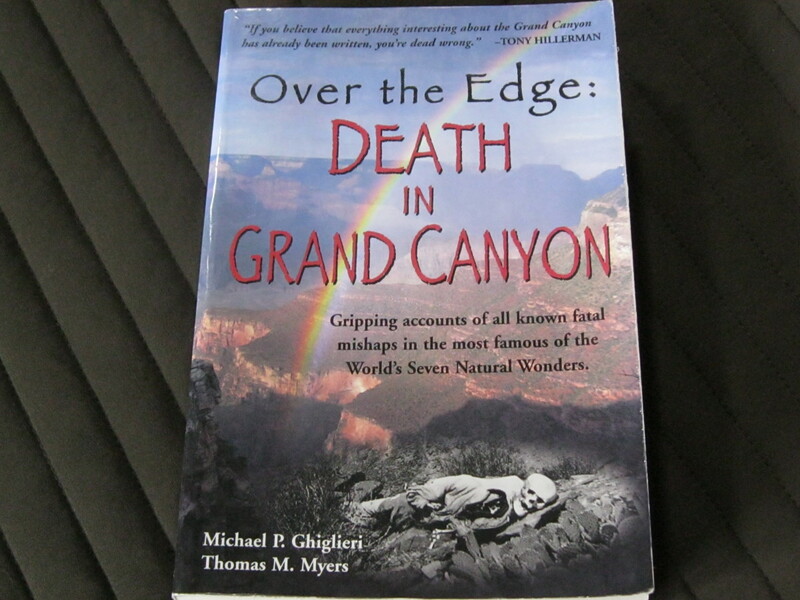 "The canyon is 277 miles wide, 18 miles long"
Nope! It is 18 miles wide and 277 miles long, something even a casual observer would see. Aw thank you! It is hard to take a bad picture at the grand canyon! Im about to go back for my honeymoon and Im so excited! Wow Kathleen you were right in my backyard and I didn't even know this! Beautiful pictures I can't rave enough about your photography skills! You have a gift for capturing the depth of Awe inspiring nature. Thanks for sharing!